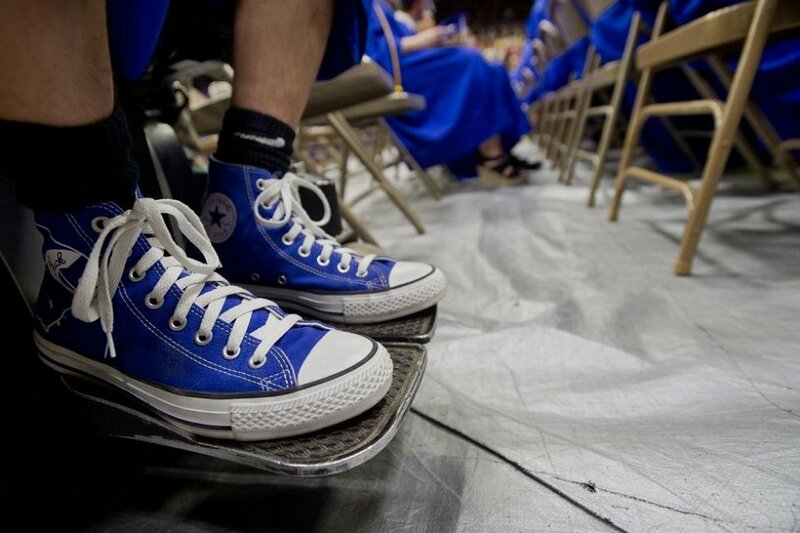 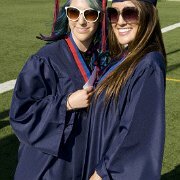 Photo gallery of students graduating wearing pairs of chucks along with their cap and gown. 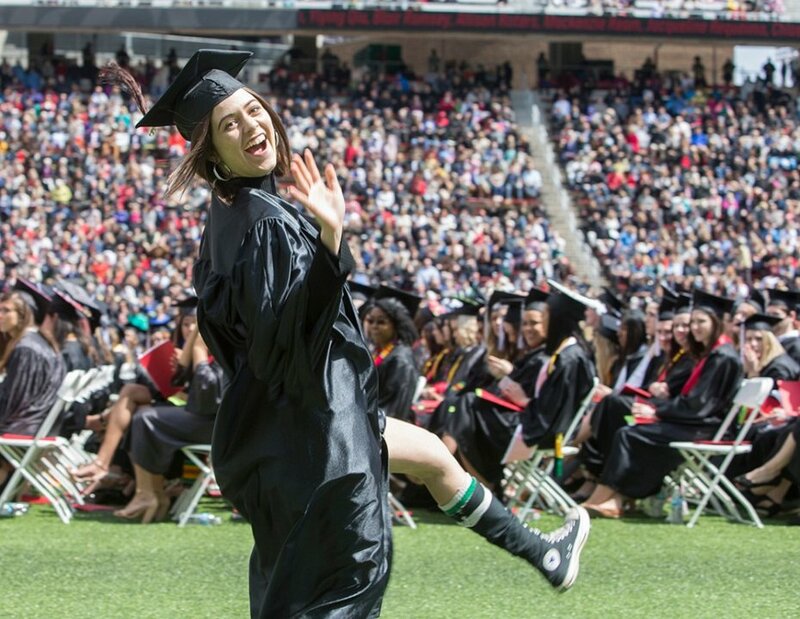 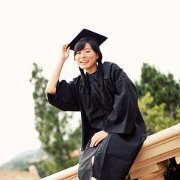 1 Graduates Wearing Chucks Classic black chucks go great with black gowns. 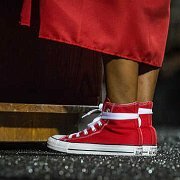 2 Graduates Wearing Chucks Matching red high top chucks for a couple of graduates. 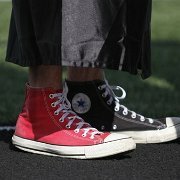 3 Graduates Wearing Chucks Extra high chucks for higher education. 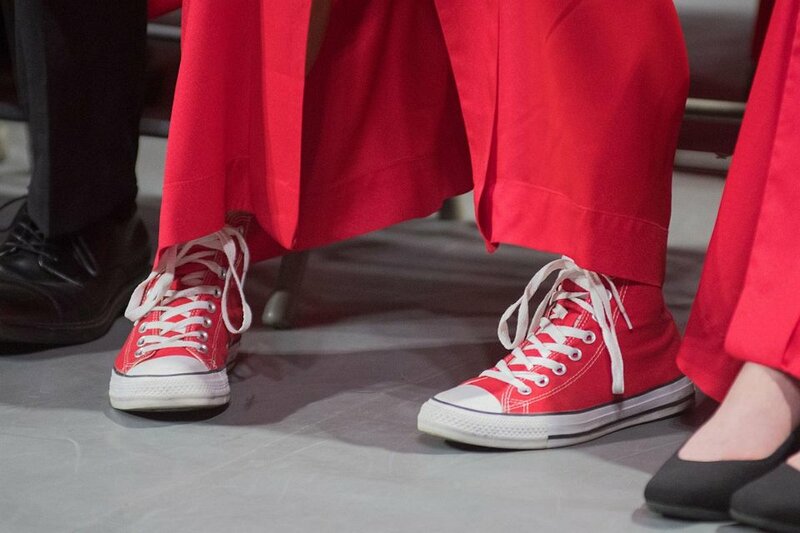 4 Graduates Wearing Chucks All red everything on graduation day. 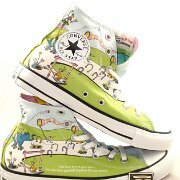 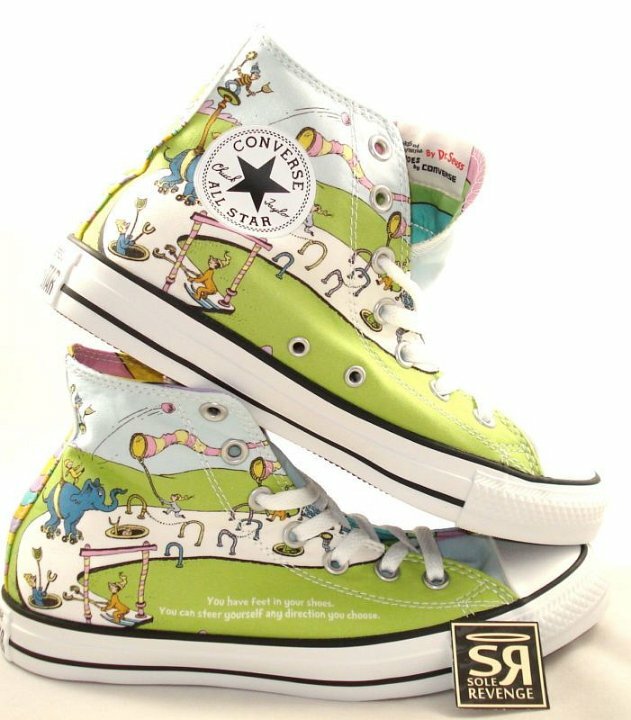 5 Graduates Wearing Chucks These chucks will match the Dr. Seuss book someone will inevitably give you on graduation day. 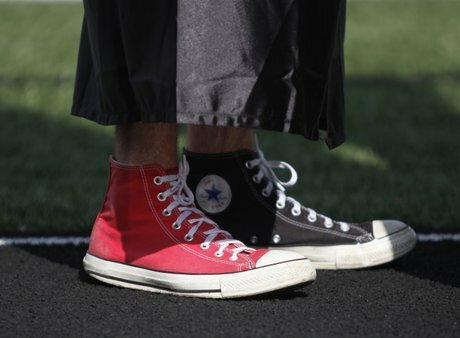 6 Graduates Wearing Chucks Mismatched chucks make the perfect pair. 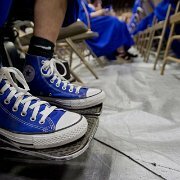 7 Graduates Wearing Chucks Tesoro High graduates Alex Knotek and Chelsea England pose in their chucks. 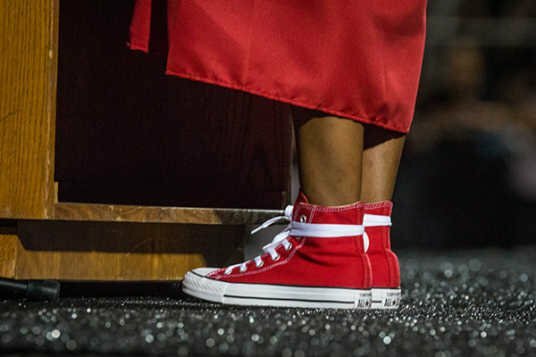 8 Graduates Wearing Chucks There’s a color of chucks for whatever gown you graduate in. 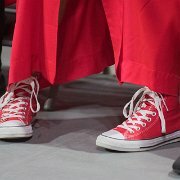 9 Graduates Wearing Chucks A Valedictorian giving a speech in red high top chucks. 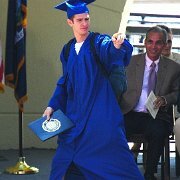 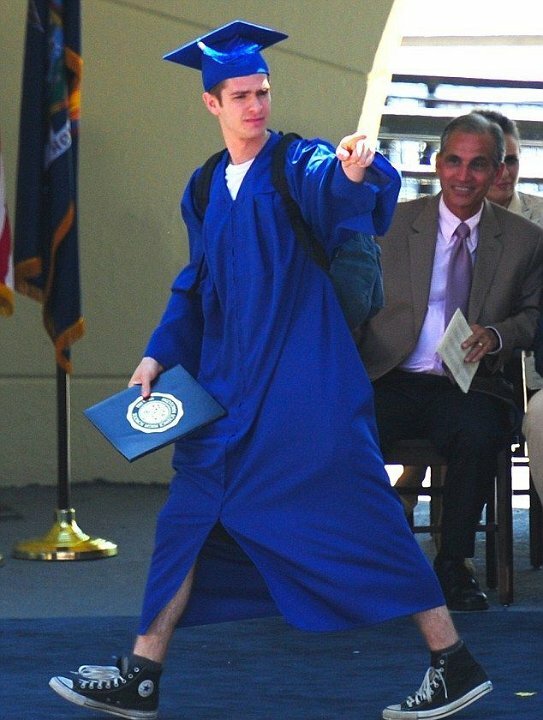 10 Graduates Wearing Chucks Even Spider-Man himself took the graduation stage in a pair of chucks!